Today is a slow news day. But hey, there’s nothing like a good viral video to keep you going when the rumor mill slows down. 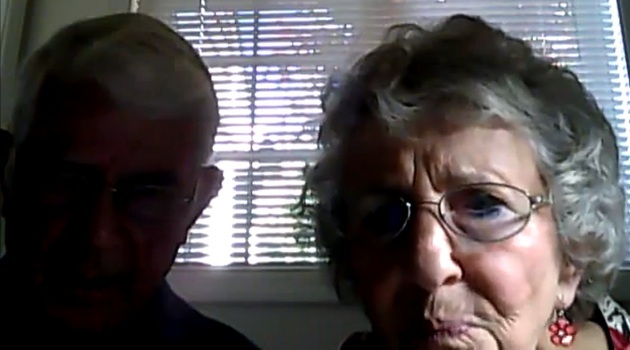 This video shows Esther and Bruce Huffman, an elderly Oregon couple trying to figure out how to get their new webcam to record. Little do they know, it already is recording. There’s no big joke here, but it’s fun to watch them flirt, comment on their wrinkles, burp, sing ancient tunes, and try to figure out the damn program. Nobody’s going to win an award for this video, but it has already racked up 4 million hits on YouTube. It was posted by their grandaughter, who got their permission, reports Bloomberg. Sometimes I wish I could hit record on some of the things my parents and grandparents do. This couple seems remarkably experimental. Update: Added the video. Sorry about that.